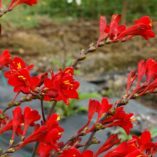 Crocosmia NOVA™ DRAGONFIRE | TERRA NOVA® Nurseries, Inc. 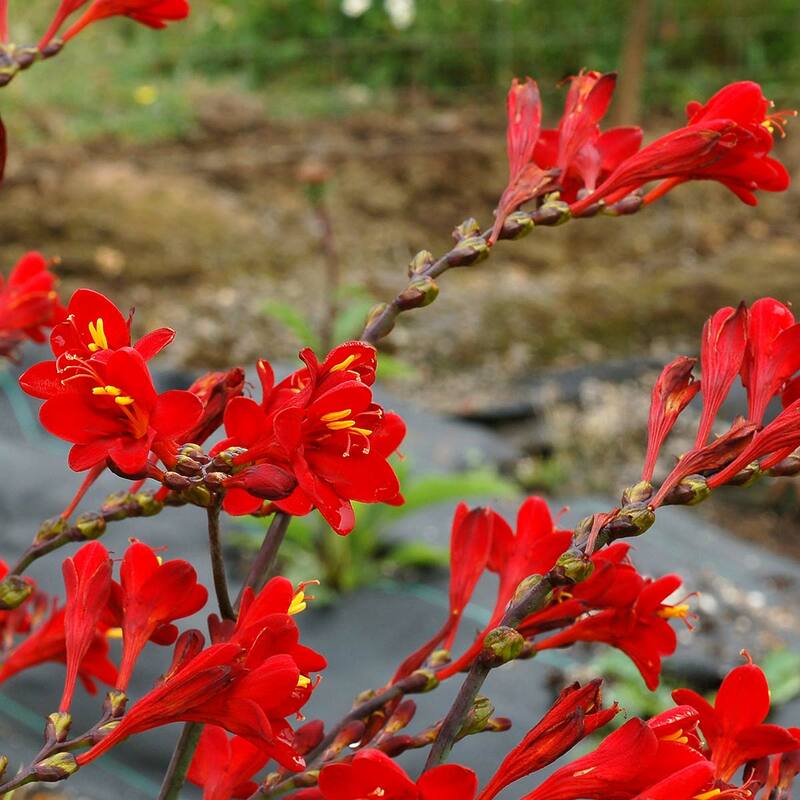 This Crocosmia succeeds where others fail. 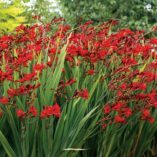 Thick deep red flowers and a short, compact habit that actually stays upright throughout the growing season! 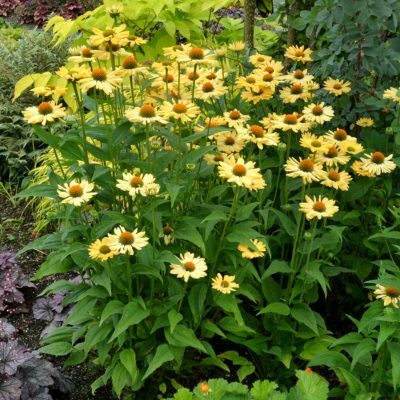 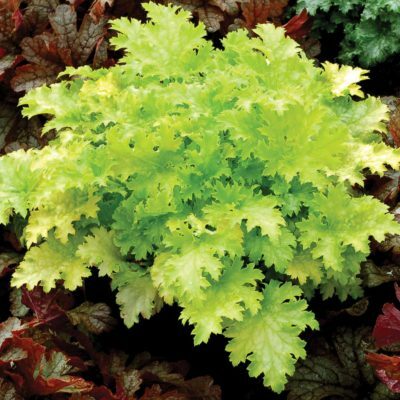 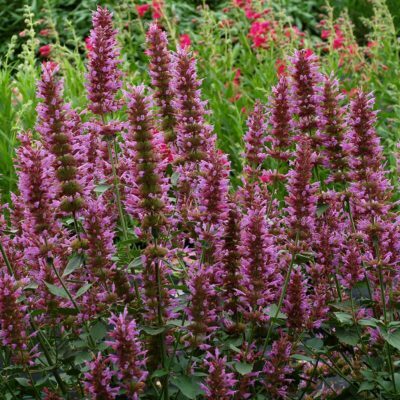 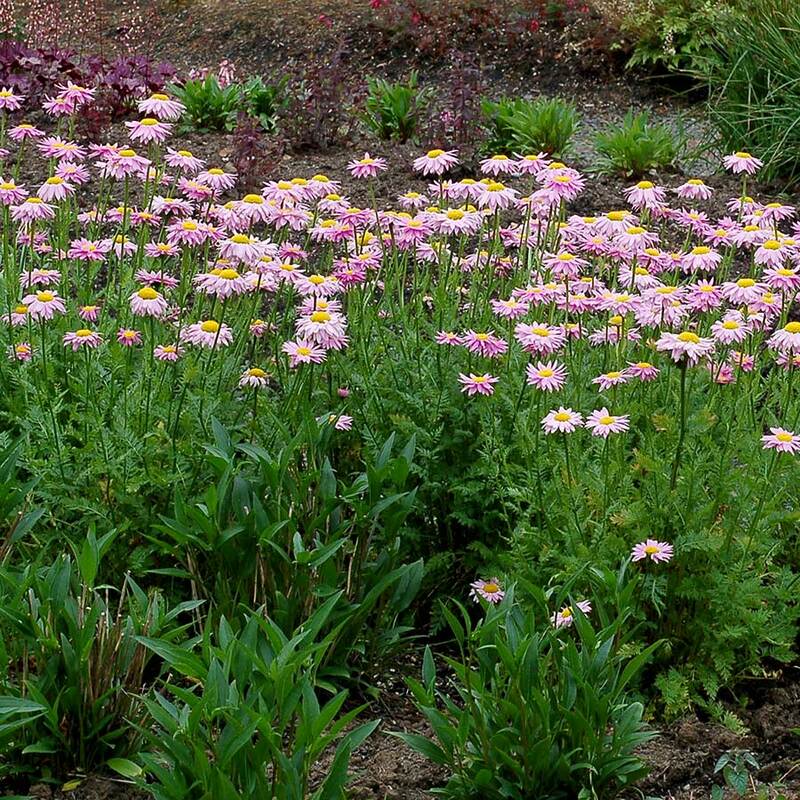 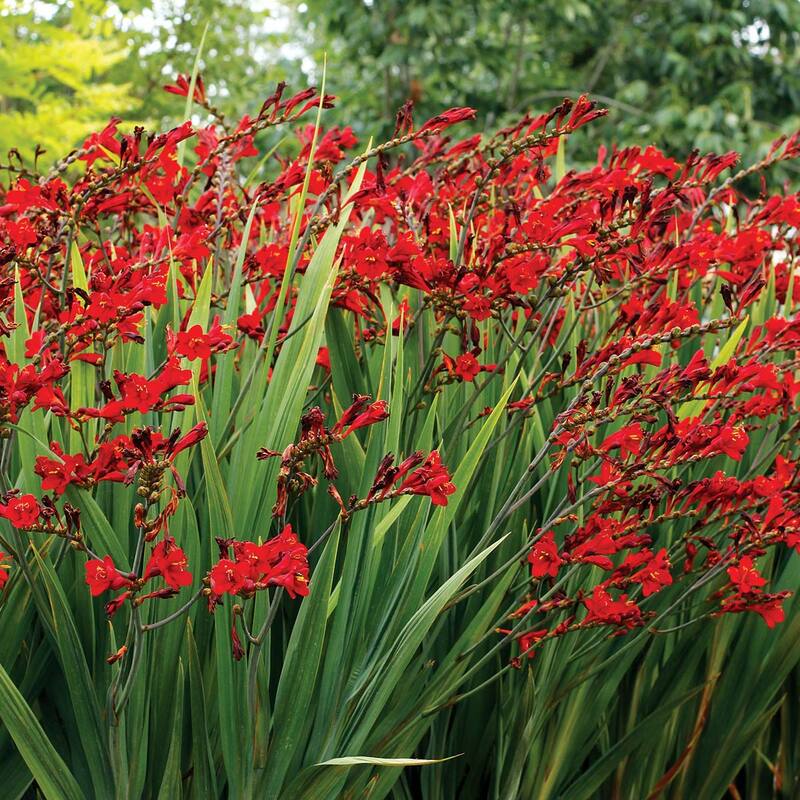 It blooms the first season and multiplies so quickly that there are multiple flowering stems. 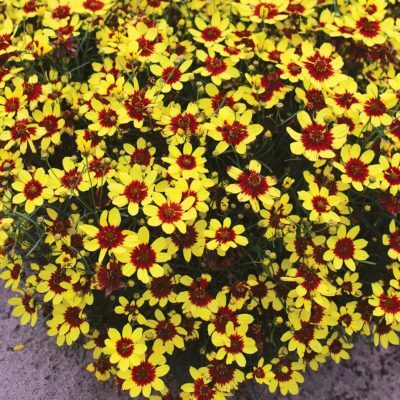 24" / 30" / 26"
Short and very free-flowering. This short, deep red flowering Crocosmia divides quickly so blooms from many stems the first year. 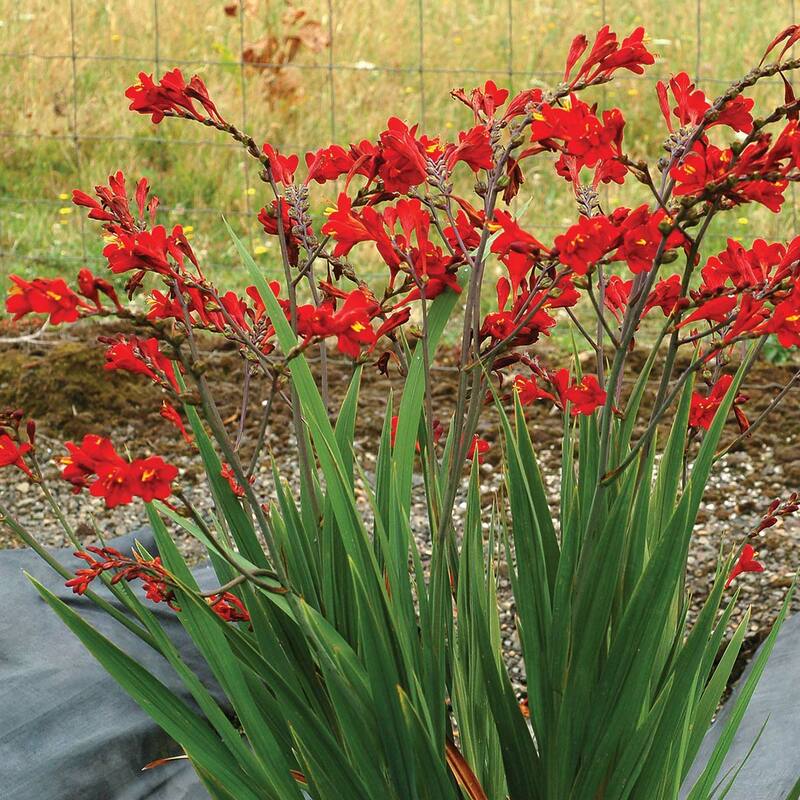 Also the stems branch so it is very long blooming.